For many, there is no traveling without your furry four-legged friend. The Sunshine Coast is an outdoor enthusiast’s paradise, and that is no exception for the dog in your life. Expedia has even named Gibsons as the ’13th most Insta-Worthy Destination to Visit with your Pet’ (check it out here)! 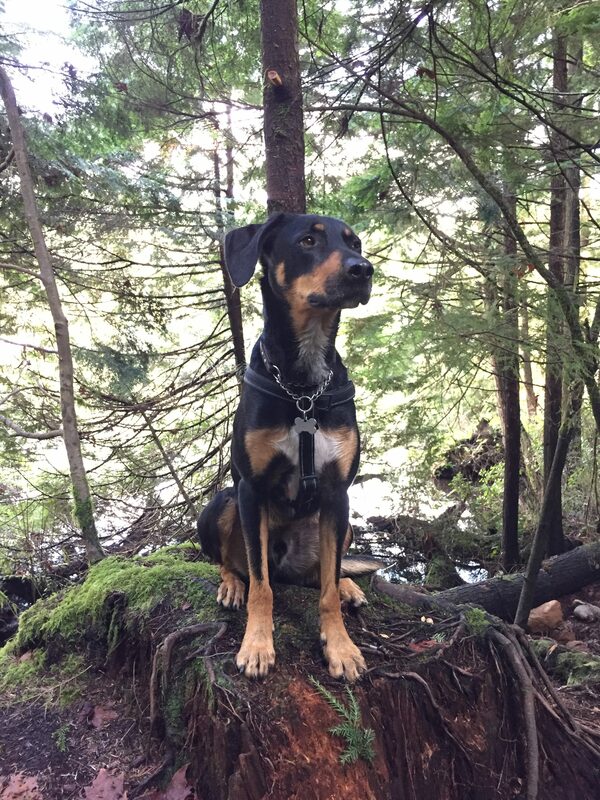 So here’s our top 5 dog friendly activities for you and your pup(s) to enjoy on your next visit to the #sunshinecoastbc. Some of the best exercise your dog can get is by playing with their fellow canine friends, and there is no shortage of great off-leash dog parks along the Coast. Gibsons: Shirley Macey Park – The off-leash area is a total of 4 acres including trails, with a two and a half acre grassy field area for dogs and owners to socialize. There is access to water, bathrooms, shade, benches and tables. 930 Chamberlin Road north of Shirley Macey sports field. Sechelt: Sechelt holds an impressive amount of off-leash areas for your furry-friends to roam and adventure. Head down to any of these 6 parks: Brookman Park, Creekside Park, Heritage Forest Park, Hidden Grove Trails, Kinnikinnick Park or Lynnwood Park. Finding a place to stay when out of town with your pet can be a challenge– but not to worry– there are many pet friendly accommodations on the Sunshine Coast. Weather you like to camp, resort or b&b, the Sunshine Coast is heaven for your 4-legged companion. Try using the advanced accommodation search tool and be sure to check Yes on the “Accepts Pets?” option to see a list of accommodations that are dog friendly. The amount of trails on the Sunshine Coast is slightly mind-blowing and whether you are looking for a short stroll or a multi-day trek, there is literally something for everyone. While almost all the trails allow for pets– some require dogs on leash and others do not. 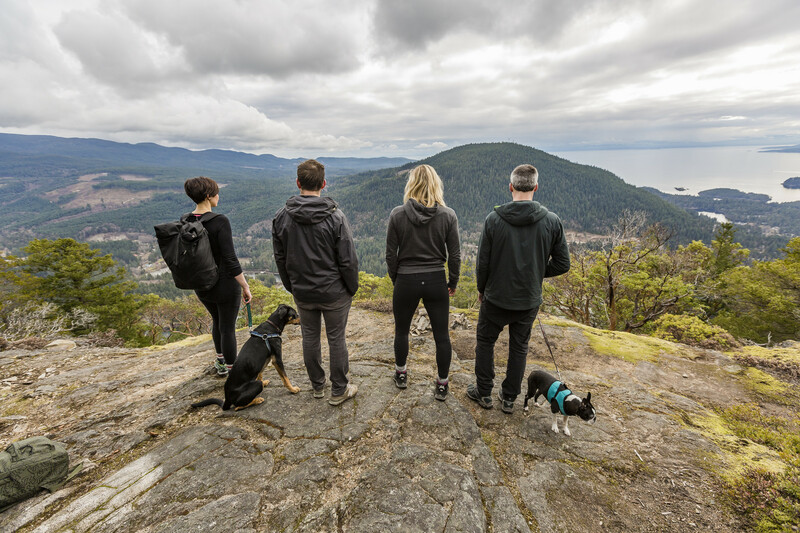 Check out the off-leash parks in Sechelt or in Gibsons, and enjoy the endless amount of trails throughout the southern and northern Sunshine Coast – just remember to leash (and pick up after) your 4-legged friend! Thinking of visiting this winter? The Sunshine Coast is home to excellent snowshoe trails. If you’re staying on the Northern end of the coast, check out the Knuckleheads trail network. 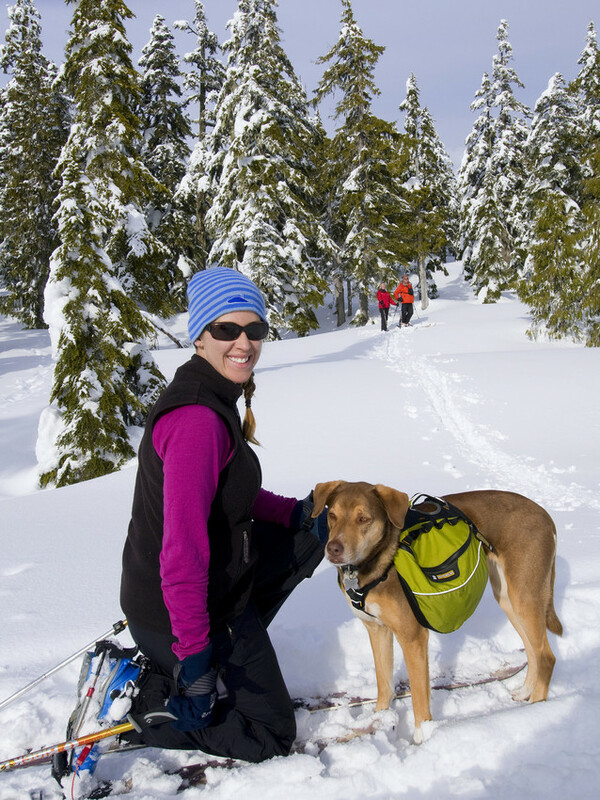 On the Southern end of things, Dakota Ridge Winter Recreation Area allows on-leash dogs on the snowshoe trails. Beaches are plentiful on the Sunshine Coast and the water can be a perfect spots for a cool down. Pay attention to signage around canine rules but otherwise enjoy! Lots of driftwood makes for a great game of fetch on the fly and if your pup enjoys a swim this will be the perfect spot to play. Fun in the sun with Jake. • Make sure your dog is wearing a current license tag on their collar and that their vaccinations are up to date. • Always pick up after your dog and dispose of waste in a garbage bin. • Owners must obey all park and trail rules and relevant parking requirements. • Ensure you have control of your dog and are in sight of your dog at all times. • Owners are personally liable for any damages or injury inflicted by their dog. • Do not allow your dog to dig holes, chase wildlife, or damage the environment in any way. Enjoy your pet-friendly vacation to the Sunshine Coast, BC!